The level of intelligence of the turtles are far superior to most reptiles. They are capable of forming a stable complex (for reptiles) conditioned reflexes and behavior styles. 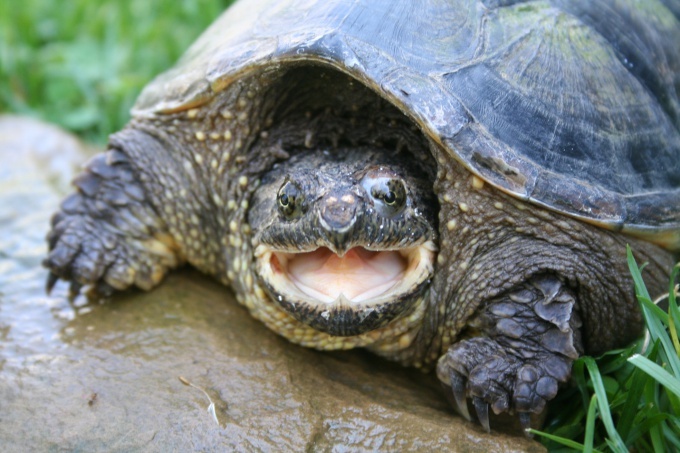 It is proven that when you continually communicate some species of terrestrial and freshwater turtles are easy to distinguish people in the face. If you ask people what animals are the most intelligent, many will answer that it is a dog or a cat. This is partly true, these four-legged friends are very smart, and only they have the intelligence. Reasonable pet can execute commands to communicate with the owner, know their place. Experts have found that the turtle, although he did not have outstanding intellectual capacities, but still capable of learning. 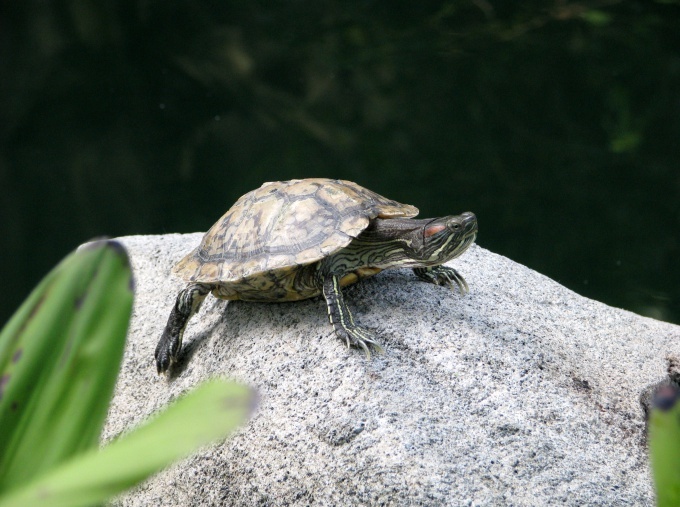 The most successful representatives are the red-eared terrapins. That they can behave as required by the person specifies, for example, that in captivity the animal almost completely abandons the armor, getting used to the permanent place of residence and the lack of need to defend. At the same time, realizing that there is nothing to fear, the pet becomes lazy and inert. So the owner just need from time to time to engage in training, play with the turtle. What can we teach the turtle? The turtle can be taught easy trick with food. For this you need to build her a trough of complex shape and put in any compartment of the trough feed. Soon the turtle will be to guess where lies the delicacy and ease will find it. 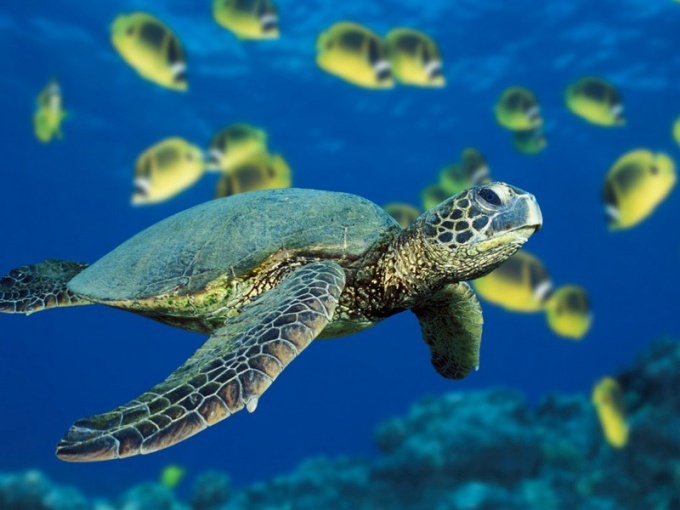 Also the turtle can be taught without fear, take food from your palm. After a while she'll get used to what you feed it, and will perceive you as a breadwinner. As a result, you can achieve what it is you will be met at the threshold (as do cats and dogs). If the turtle quite often you scratch, it also can be unlearned. Turtles really like different toys. They, like cats, can play with the ball. But as the biologists would say, it's just a reaction to a foreign object. 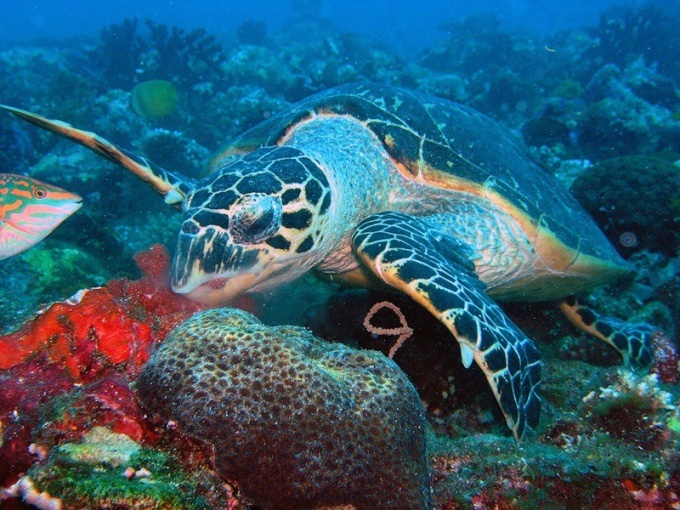 Put 2 weeks in an aquarium with turtle ball small size and bright colors. After some time the turtle starts to push his nose. And if you put a mirror, a tortoise, staring at his own reflection, will think it's another turtle, the result will be to behave aggressively. 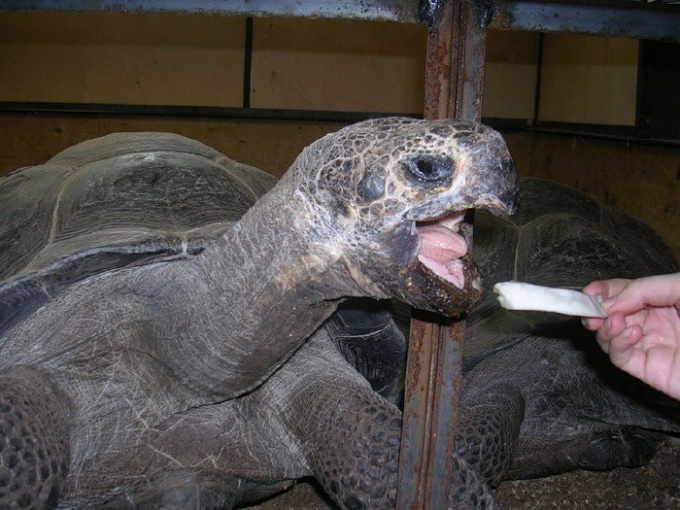 As for the toilet, the turtle often come to a certain place, mostly a place where she eats. 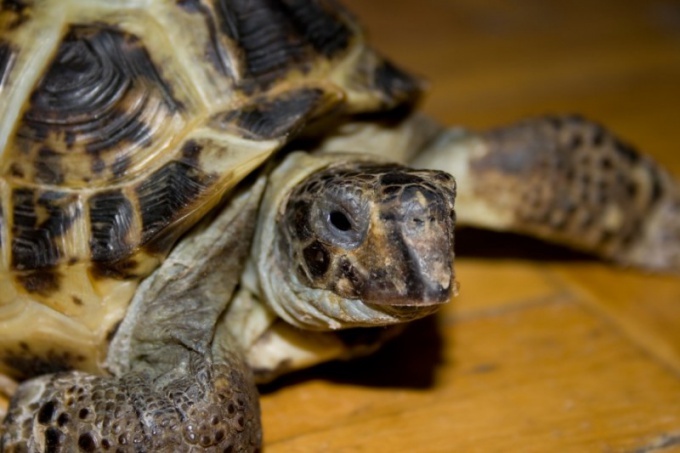 Many turtles can be retrained to walk to the other corner of the aquarium. Do not be afraid to communicate with your pet. Over time, your pet will change his mind and will fulfil your requests. And you in turn can teach it different tricks and simple games.